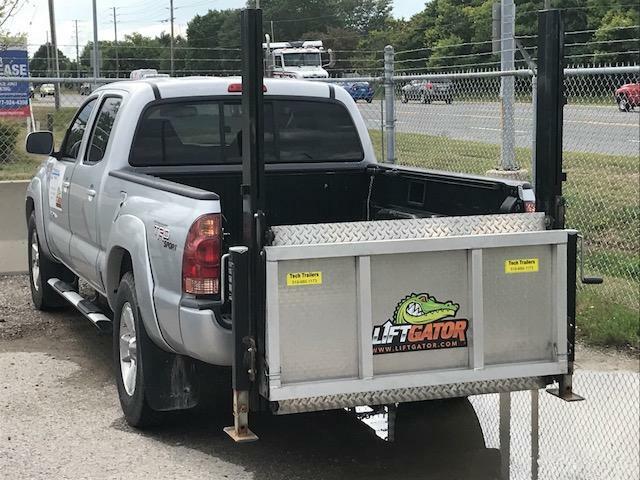 The Liftgator is a very unique product that fits any pickup truck with the added convenience of a 15 minute hook up or removal. 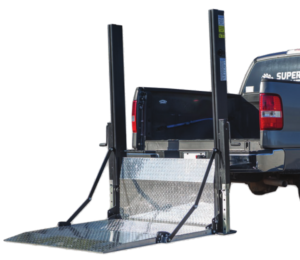 When not in use the Liftgator can be easily be placed in it fold up position, mounted on casters and be tucked away in your shop or garage. Please note the description attachment of the Liftgator. We have an active Liftgator demonstration model at our shop. We would also be more than happy to come to your location so you may see how this great product functions. 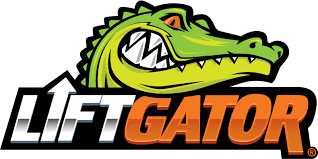 Tech Trailers is the only authorized dealer of Liftgator in Ontario. We are your one stop shop for installation, service, parts and warranty.